Like food, film often provides a common ground for eliciting a universal experience. So, it makes sense WIF board member Beth Federici is formulating a recipe that blends the two for her new documentary on the iconic life of James Beard. America’s First Foodie: The Incredible Life of James Beard delves into the personal history of a man revered not just for his skills in the kitchen, but also his love of people and life itself. Starring Ted Allen, Jacques Pepin, Alice Waters, Gael Green, Jonathan Waxman, Larry Forgione, Jeremiah Tower, Sara Moulton and many others, the film explores the life of Beard and how he became an inspiration and pioneer of of the food media industry. Widely known as the father of American cuisine, Beard was not only made famous by his cooking methods, but also the bits of wisdom he would toss into his cookbooks, television appearances and daily interactions. One of his more famous quotes is “The secret of good cooking is, first, having a love of it. … If you’re convinced that cooking is drudgery, you’re never going to be good at it, and you might as well warm up something frozen”. The film is still in production, but made its trailer debut at the James Beard Foundation Awards ceremony on May 5th, which also just happened to be the culinary legend’s birthday. It has already received press coverage from Food Republic, Eater National as well as Grub Street of New York Magazine. New York Magazine says the film “chronicles the life of celebrated chef, farm-to-table pioneer, and illustrious author James Beard, and it looks fascinating”. Beard was a Portland native who spoke of the importance of localism and sustainability in the 1930’s, long before those ideas became popular in modern society. It has been said that “at a time of all things French, he appreciated what America had to bring to the table and inspired the likes of Alice Waters, Jaques Pepin, Larry Forgione and Wolfgang Puck”. According to several sources, the James Beard Foundation Scholarship Program is a popular program that helps aspiring culinary students realize their dreams by supporting them on a path to success. However, while the name James Beard is well recognized, the incredible details of his life are often unknown. Federici is working diligently on chronicling Beard’s life as well as the food world itself through menu-like chapters. The film’s website says the completed project will include stories of Beard’s influencing mother, his brave choice to be openly gay at a time when it was dangerous to do so and his devotion to flavor and friends. 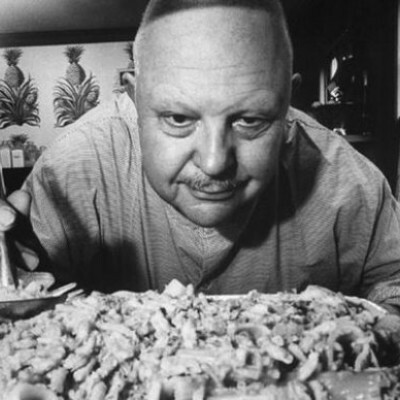 Federici says that by marrying current footage with archival footage, interviews and re-creations, they hope to create a film that truly captures the color, spirit and genius that was James Beard. Beth Federici is an award winning documentary filmmaker and television producer. Most recently she co-directed and produced the feature documentary “Space, Land and Time: Underground Adventures with Ant Farm”, and was awarded a 2010 Cine Golden Eagle Award. Her credits also include the documentary “Neither Here Nor There” (co-director/producer/editor) which was awarded the “Best of the Heartland” award at the Kansas City Film Festival and was broadcast on Missouri PBS as well as the award winning concert film “Bauhaus Gotham”. In addition to her work as a filmmaker, Beth is also a dedicated media educator, teaching media literacy theory and media production skills to students all over the country. She currently works as a freelance producer/editor/educator in Portland Oregon. For more information about the project visit www.americasfirstfoodie.com or offer your support at https://www.facebook.com/americasfirstfoodie. You can also donate to the project via paypal or make a tax deductible donation through the Hollywood Theater. This is a sponsored project of Film Action Oregon, DBA Hollywood Theatre, a 501(c)(3) nonprofit. Any additional financial support given to the film with help with interview production costs, post-production costs, licensing historical images and archival film footage, distribution, marketing and promotions.